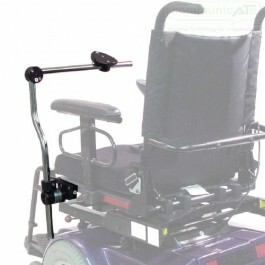 The most basic of the DAESSY Wheelchair Mounting Assemblies is the DAESSY Rigid Mount. This mount consists of two lengths of stainless steel connected together by a 90 degree Tube Connector. This joins the Horizontal and Vertical Tubes of the DAESSY Rigid Mount at a fixed 90º angle and allows for independent angles with respect the offset of the vertical tube. A DAESSY Quick Release Base connects your technology to the kit. 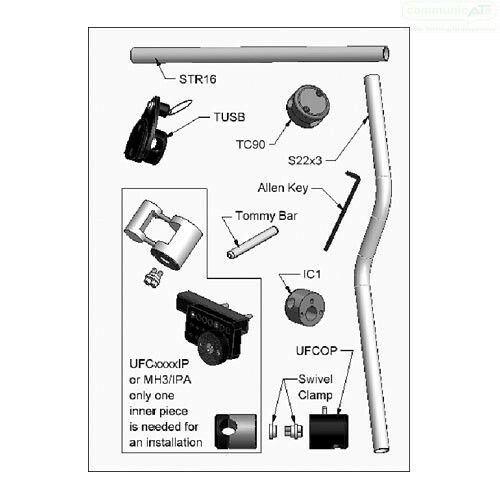 Also include is a simple and easy locking mechanism, the Removable Outer Piece, which allows secure locking of the poles to the wheelchair when "in use" and easy removal from the wheelchair when not required. This version is best used on Tilting Seat wheelchairs. One of the simplest of the DAESSY Wheelchair Mounting Assemblies is the DAESSY Rigid Mount. It is also excellent at holding and positioning yoru valuable technology reliably, repeatably and with assurance. This mount consists of two lengths of stainless steel connected together by a 90 degree Tube Connector. This joins the Horizontal and Vertical Tubes of the DAESSY Rigid Mount at a fixed 90º angle and allows for independent angles with respect the offset of the vertical tube. This right angle pole structure is supported on the wheelchair by a Frame Clamp Assembly permanently attached to either the left or right side of the wheelchair. 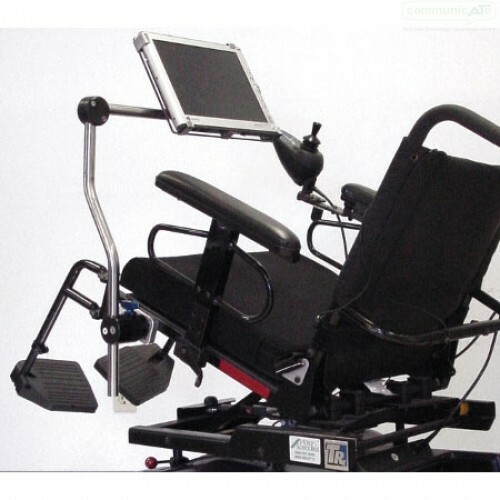 The mount is easily atatched and detached from the wheelchair frame via a tounge and groove approach - the Removable Frame Clamp Receiver (RFCR) which stays atatched to the chair is the "groove" and the Removable Frame Clamp Outer Piece (or ROP ands where this kit obtains it's name) is attached to the vertical pole and set the height. The RFCR has a blue lock which, when engaged, securely holds the Rigid Mount poles in place no matter the terrain or tube angle. This moutn only has two positions - "in use" or "removed". The Frame Clamp Assembly therefore is composed of the Frame Clamp Inner Piece, the Removable Frame Clamp Receiver and the Removable Frame Clamp Outer Piece attached to each other. There are two versions of the Rigid Mount - the Universal Outer Piece version and the Removable Outer Piece version which is bets for tilting seat system. The mounted device is attached to a matched adapter plateor a specific cradle (purchased separately). It is attached to the Horizontal Tube of the mount assembly by means of the DAESSY Quick Release Base system that secures the device and allows for quick detaching of the device from the mount. The Rigid Mount can support equipment that is heavy enough to unbalance an unoccupied wheelchair when swung out to the side. 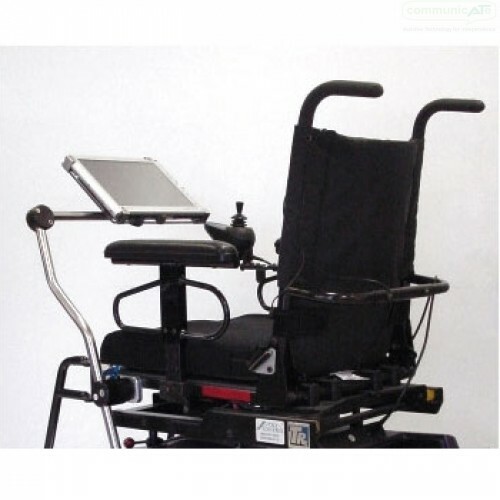 It is recommended to remove the device and/or mount before the wheelchair is vacated.